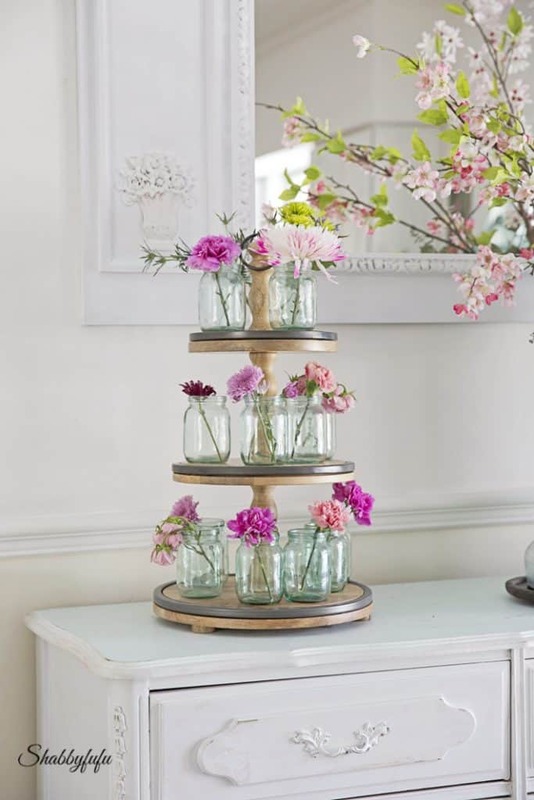 This tiered display stand is incredible and can be used for styling so many things, but since it’s spring I’m using it for flowers on my dining room sideboard. 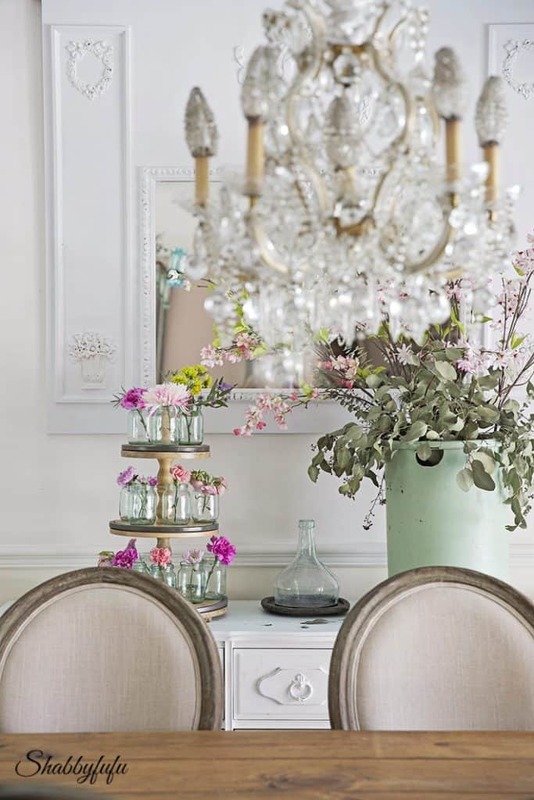 The bottles are vintage French yogurt bottles and I filled each with a bloom or two. 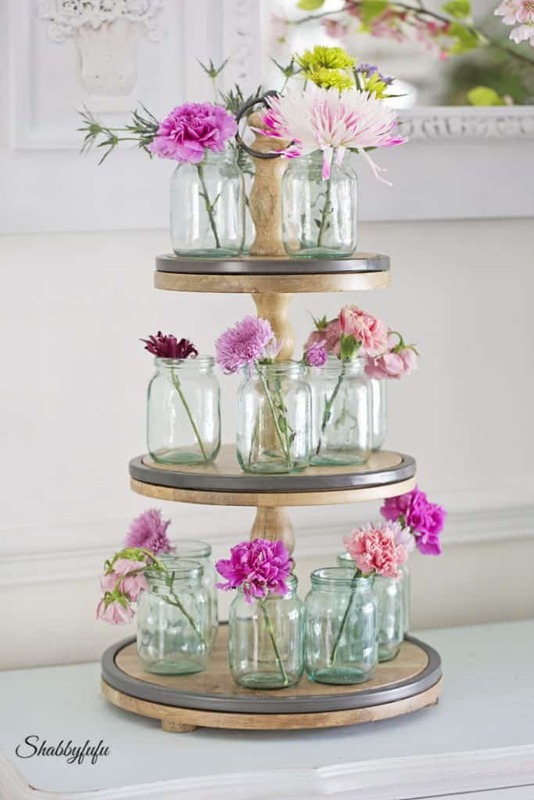 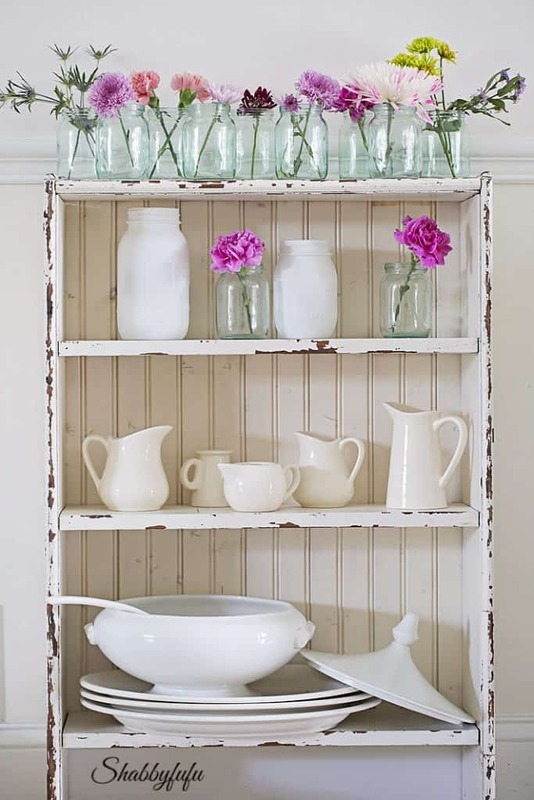 You could also style a tiered stand like this with jelly jars and other bottles that you have saved or find bottles at the thrift shop inexpensively. 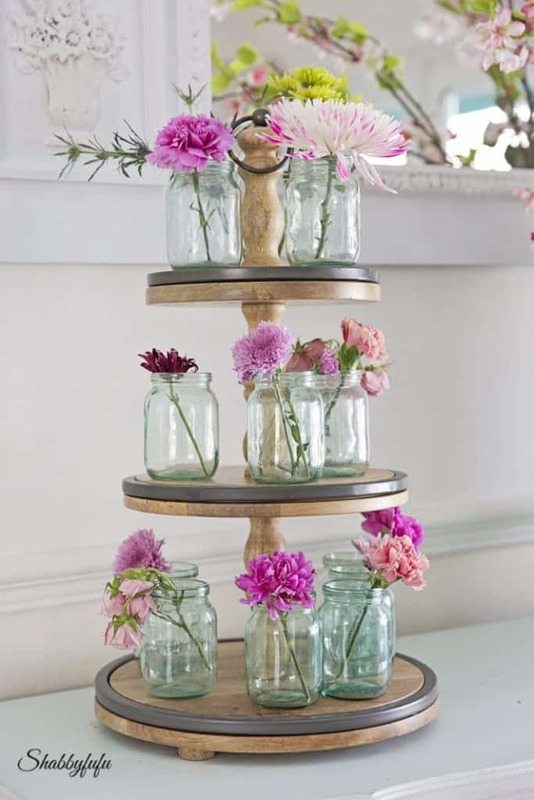 Just plop a flower in each…I think that it looks so pretty! 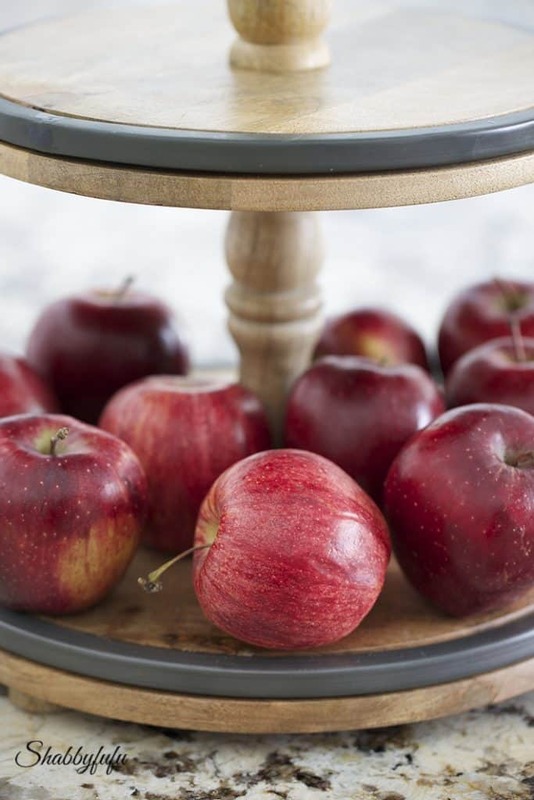 Apples…did I mention how great display stands are for fruit on the kitchen island? 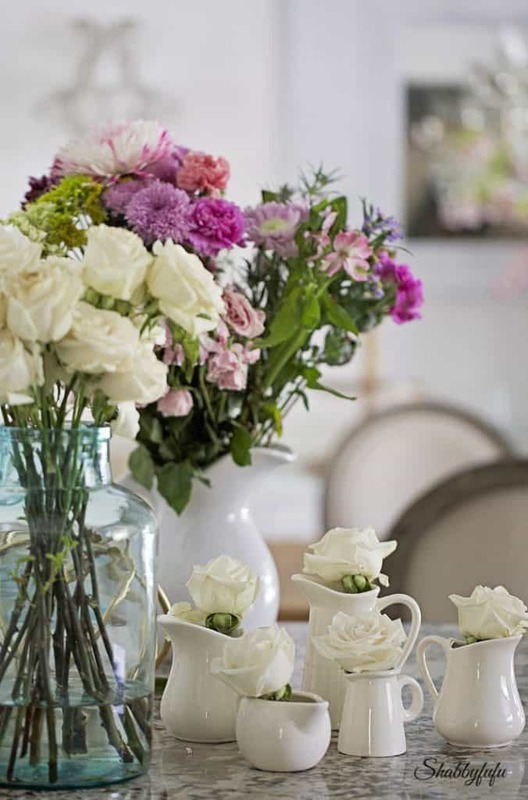 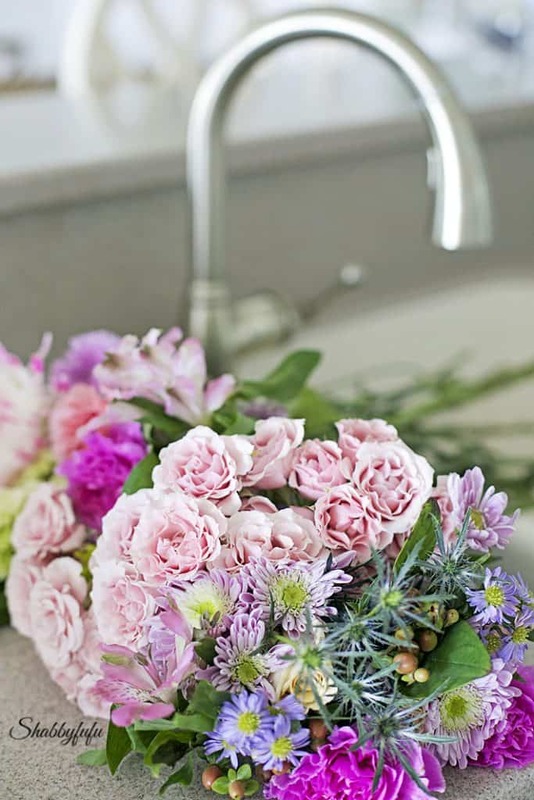 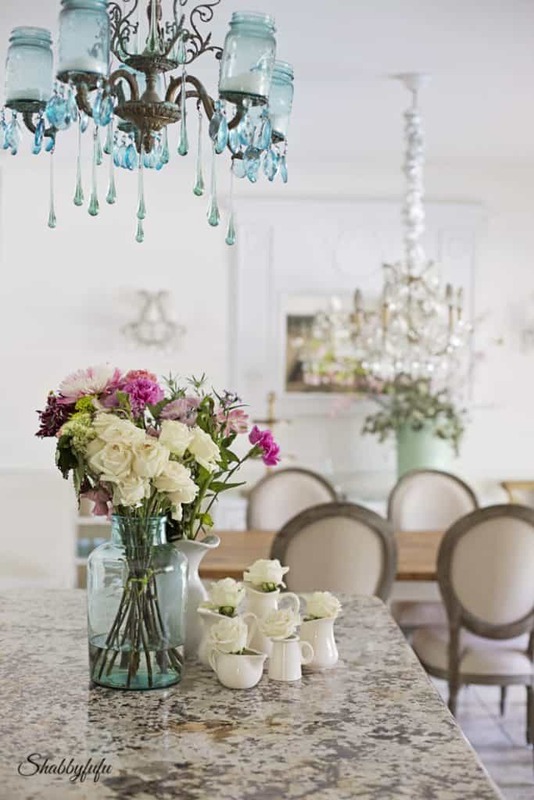 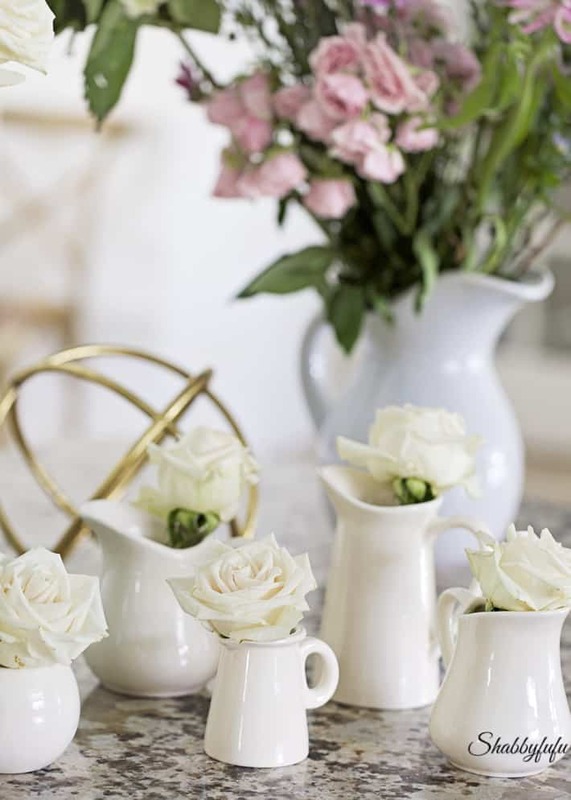 Check back in with me on Friday morning as I join in with some of your favorite bloggers for a post that will showcase more on FLOWERS and how to style them!